Well, today is a mighty big day here at our house. Hubby is celebrating his "3 score and 10" (as he likes to call it) birthday. That is one of those birthday milestones for sure! And, can I just say, nothing makes this Poppa any happier, birthday or otherwise, than to have these little darlings surrounding him. I wish it were possible for him to have them all with him today but the miles do separate us from half of them, but it is what it is and we sure make the best of it. 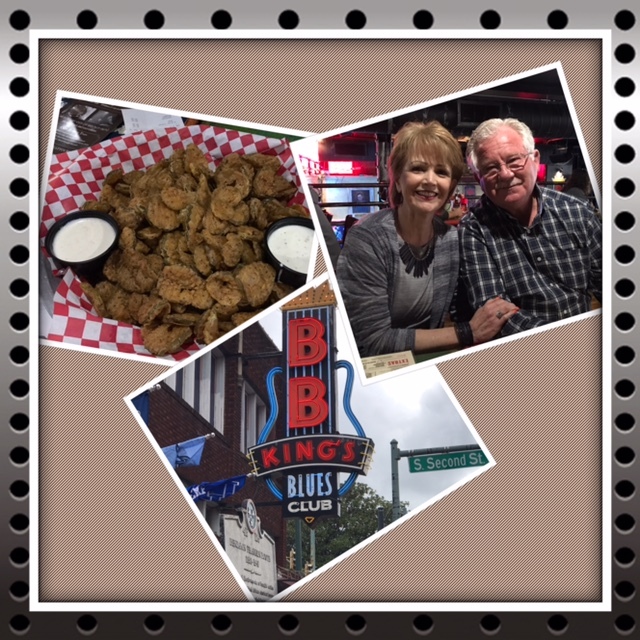 Part of my gift to Tommy was a long weekend trip to Memphis to "do all things" Memphis. We've been through Memphis many, many times but never took the time to stop and take in any of the sights. 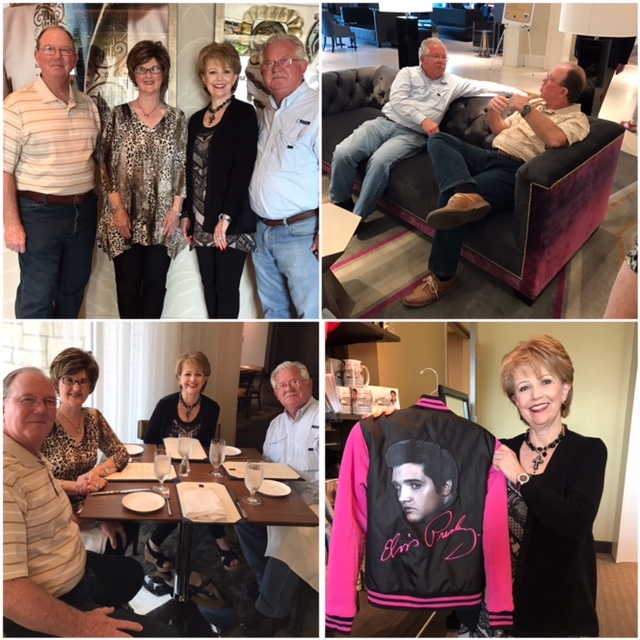 We arrived on Thursday and met up with our dear friends, Dwight and Diane. We had reservations at the new Guest House of Memphis. It is across the street ofrom Graceland and Priscilla Presley built it as another way to memorialize Elvis. It is decorated in pure Elvis fashion, everything just a bit "over the top." There is a nice theater where they show Elvis movies most every night and Elvis music plays throughout the hotel. And, of course, a gift shop that sells any and everything one could want concerning Elvis. I am an Elvis fan for sure but I'm not likely going to buy any Elvis paraphernalia. 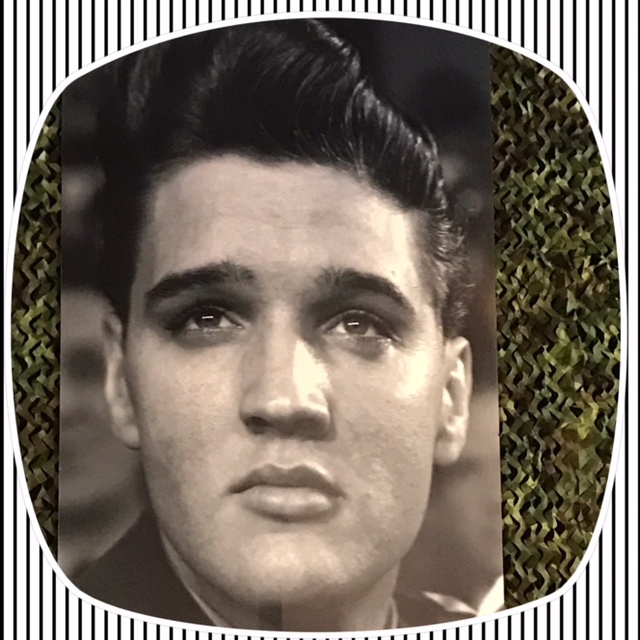 We went to see Love Me Tender in the theater on Thursday evening and thoroughly enjoyed it. Elvis looked like he might have been 12 years old in the movie but he was really 19. 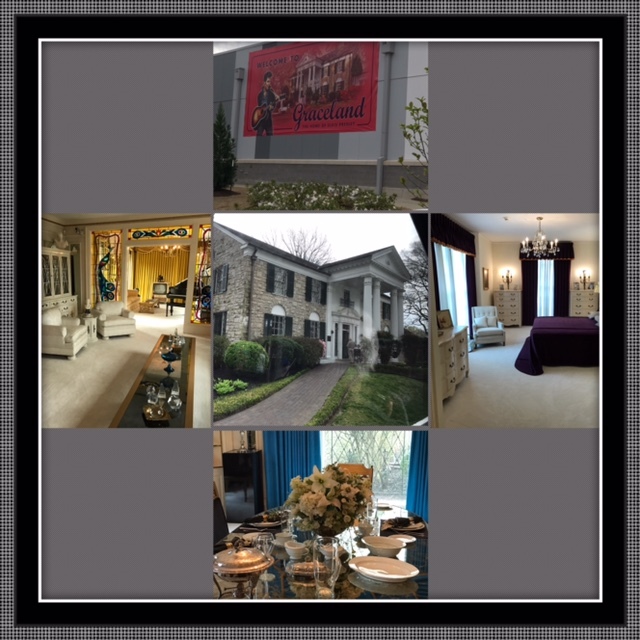 Friday we headed out to tour Graceland and the many museums that display his cars, clothes and other interesting memorabilia. 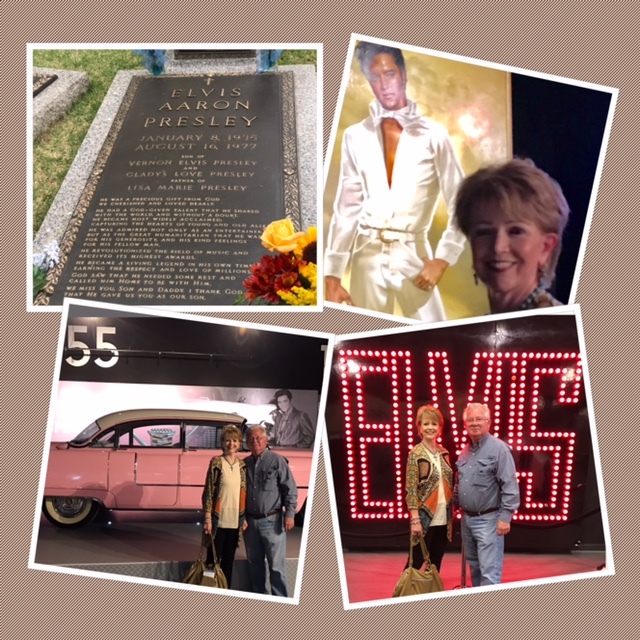 The gardens and burial site of Elvis and his parents was so impressive. The house, Graceland, was fun to see, but it just wasn't near what I was expecting. But, I have to remember that "back in the day" it was likely the "Taj Mahal." Indeed, Elvis was a most handsome man. I so well remember the first time I saw him in concert in 1973. A real heart throb for sure! 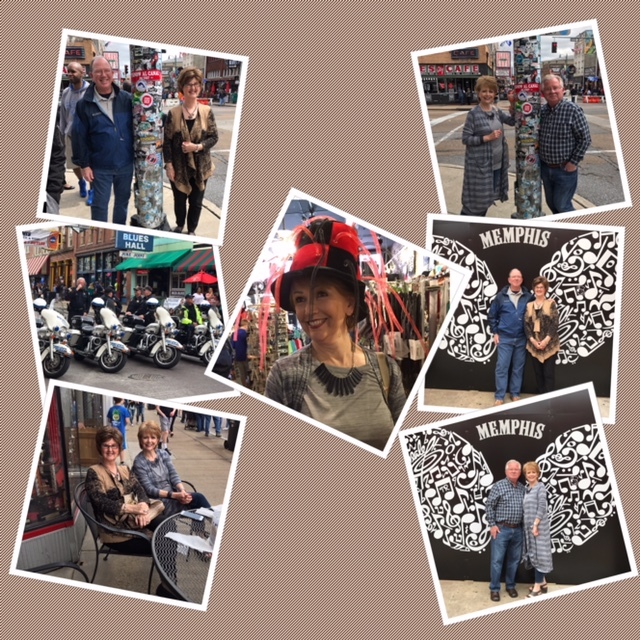 On Saturday we headed out to see and visit some of the sights of Memphis and ended up on Beale Street for the afternoon. We walked up and down the street and then found a nice sidewalk cafe/bar where we could sit and enjoy all the street entertainment. Let me assure you, there were some sights to behold. 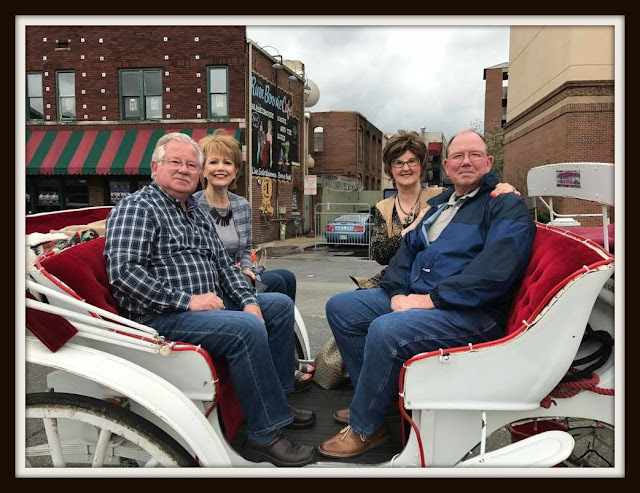 There were carriage rides available and we decided that would be a fun way to spend some time and learn some about the history of the area. We took an hour long ride and enjoyed it so much and definitely learned a lot that we would not otherwise know about the area. We ended the day by dining at B B Kings Blues Club. It was probably the loudest place I have ever eaten in my life. ~no joke~ Between the band and all the folks making noise, I could hardly even think straight but the food was d.e.l.i.c.i.o.u.s! We started with the fried pickles and I could have easily made a meal off of those. What a fun getaway for your sweet hubby's birthday celebration, Lea! I loved seeing pictures of your fun time in Memphis. Happy Birthday to your hubby! I'm so glad y'all had a great time! We love Memphis! What a fun day! Happy birthday to your hubs! What a fun way to celebrate 3 score and 10! 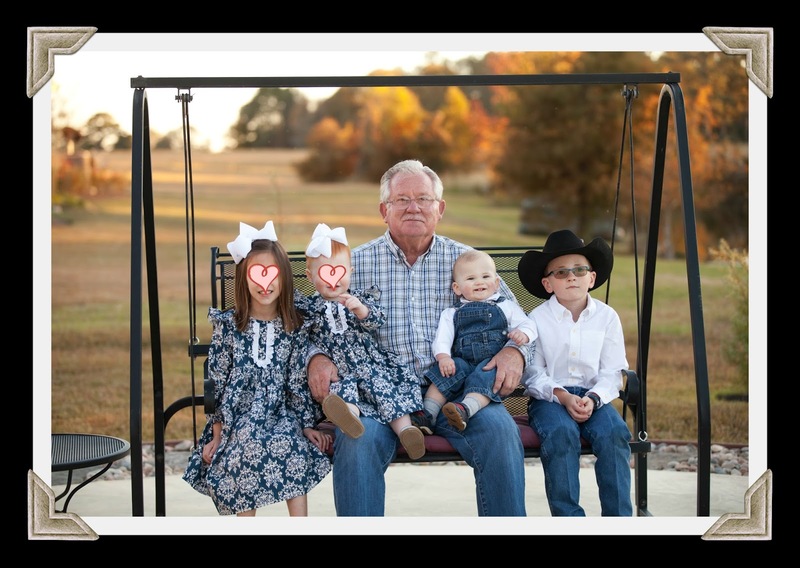 LOVE the pic of your hubby with your grands! And honestly I will admit to a little jealousy over that trip! lol I would love to see ALL of it. Soo fun. And you got to see Elvis in concert back in the day?!! Another thing I would have loved, but it just never happened. Glad you enjoyed your little get away. HAPPY BIRTHDAY to your man! And yes, a week long celebration is in order! It certainly looked like a very fun trip and to share it with Dwight and Diane made it even more special. Happy Birthday Mr. T! What a wonderful weekend! 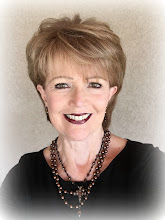 Thank you for sharing with us about it. I don't know if I'll ever be able to spend time in Memphis (other than driving through it last September en route to Alabama and beyond), so I've now enjoyed it vicariously through you. Oh Lea, what a super birthday weekend for your hubby and the rest of you! I have only been through Memphis but if I ever get there again, I would love to visit Graceland and take in some of these other sights. Elvis was certainly a beautifully handsome man...loved the move "Love Me Tender" too. 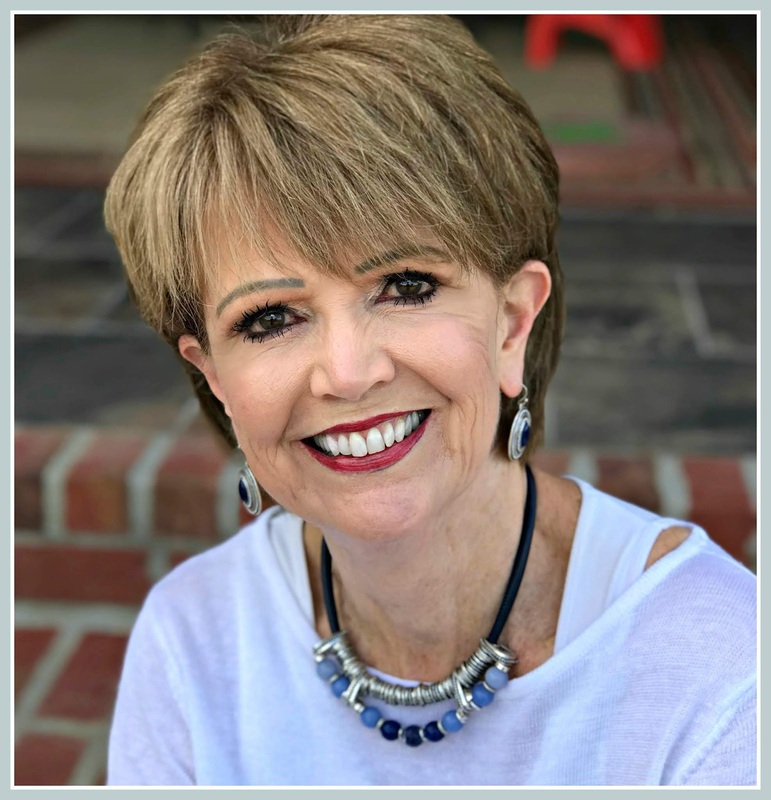 Thank you for sharing your fabulous time with us! 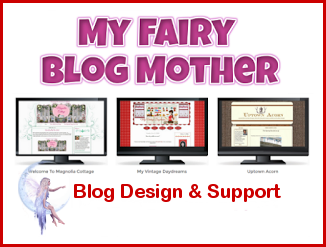 What a fabulous way to celebrate. Love your photos. Graceland must be heavenly to visit...Maybe someday. Happy belated birthday to your hubby.